Masonry layouts are a rage nowadays. Pinterest come out with masonry layout a big hit, many sites have started using this layout to build some really creative websites. In responsive design this layout creates magic to display the blocks. Masonry is a grid layout based on columns. Unlike other grid layouts, it doesn’t have fixed height rows. Basically, Masonry layout optimizes the use of space inside the web page by reducing any unnecessary gaps. Without this type of layout, certain restrictions are required to maintain the structure of layout. 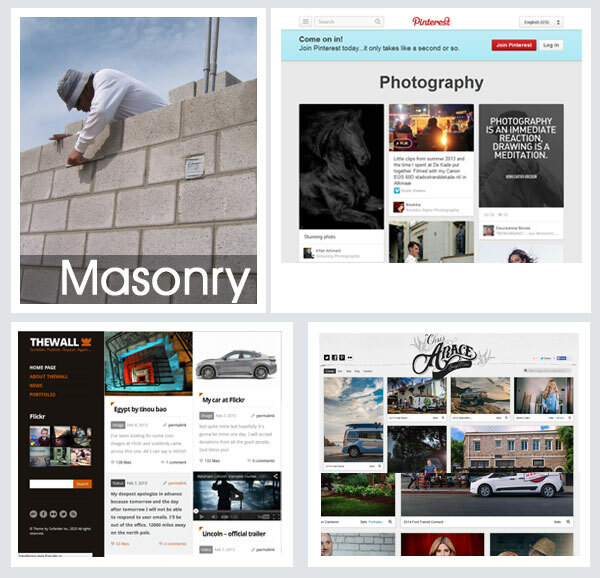 Masonry layout can gives a site with better functionality, as well as enhance a site’s design. We can use this in Image Gallery, Portfolio, Blog post type of sites.